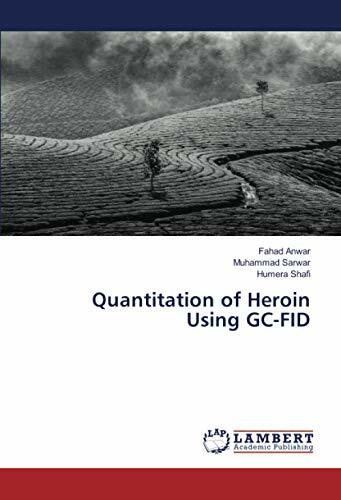 It was an effort to develop a Rapid and a Reliable Method for the quantification of Heroin in seized samples using Gas Chromatographic Technique coupled with Flame Ionization Detector. Using Internal Standard Nicotinamide method was Quantitatively validated. Forensic Laboratories and Law Enforcement Agencies can get benefit from this method. Estimation of Heroin along with adulterants can be done easily via this simple method. Dr. Fahad Anwar is a professional Pharmacist, completing Pharm-D from The University of Lahore, Pakistan. He did MS/M-Phil in Forensic Chemistry from GC University Pakistan. He served as President of the Ravian Forensic Society RFS. The work done and summarized in this Book was carried out in Punjab Forensic Science Agency, Pakistan.